Shop our selection of available bathtubs for your bathroom space. We carry different types of bathtubs including slipper and freestanding installations for your relaxation. 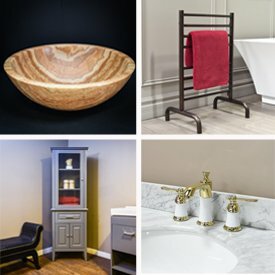 Luxury Living Direct offers free shipping on all products. Any questions or inquiries, give us a call at 1 (800)574-3022 or send us a message at the bottom of the screen.